Ever since I’ve finished my 365 I’ve had this voice in the back of my head each day telling me what I would have written on the fair blog, were it still in existence. I find this strangely comforting as if my brain has had a new positive chip implanted within. Even on the dark days the voice is still there. I wonder how long it will last for? Today I lay in bed grumbling to myself on the idiocy of waking up at 7.30am on a Saturday morning, I opened the blind, pushed up my window and got ready for some more grumbling. However, there will be no more grumbling, no no, the sky is blue, sunshine poured into my room and the sea gulls screeched in that holiday feeling way. That is when my brain started writing for my 365 today. In further news, I’ve rediscovered some 90s treats. 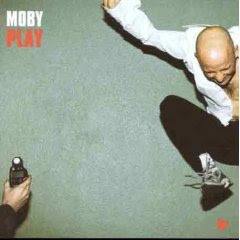 Playing loudly in my ear is Moby’s Play album. Go on, you know you have a copy lurking in your house somewhere, stick it on and dance baby. Also a bad old video from Mel and Sue’s genius Light Lunch should be appearing here. Despite the random guests it’s still worth it for a glimpse back into the days of bumming around as a student and purely getting up to watch Light Lunch.